In all my travels I've never had a sunrise like this. 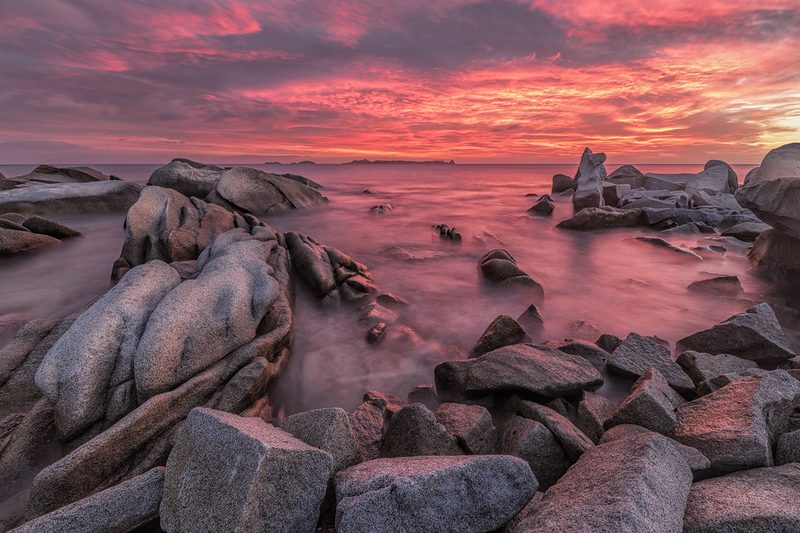 On our way to the east coast of Sardinia we could already see the clouds' edges aflame in the color of a heavy red wine and we knew it would be an unbelievable sunrise. The colors were that intense that you had the feeling you could touch them.